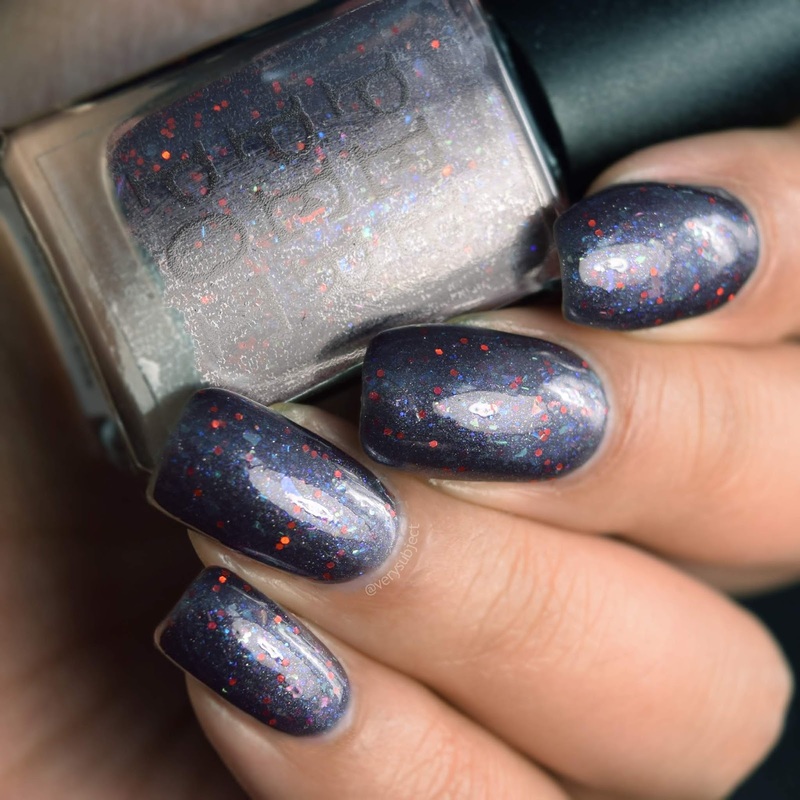 Sliced and Diced ($12.50, no cap) is a black holo filled with all sorts of sparkles, mostly of the red/blue/purple/silver variety. The formula is smooth and opaque, and while I show two coats, most people could easily get away with just one! Also, I've included pictures of how it looks with a matte topcoat, as I think it comes out really slick. Supermoon's description: 'Sliced And Diced' has a black holographic base filled with blue-to-red chameleon pigment, indigo-to-red color shifting aurora color shifting shimmer, blue shimmer, red and silver/white sparks, red microflakies, silver holographic microflakies, platinum silver microflakies, holographic black, red, and silver microglitter, and metallic red microglitter. Now is probably as good a time as any to mention that I do NOT like horror. Like at all. Like I just don't like being scared. Or thinking about being scared. Or, well, you know. I don't watch horror movies or TV shows, I don't read horror books, and I don't even play horror video games. It's just really not my genre. So really what I mean to say is that the theme for this month is one of those things that has me sitting over here covering up my eyes and ears and loudly humming in hopes of totally minimizing my exposure to it. That said, this is based off of Wes Craven's Scream, which I know nothing about, but it's Supermoon's favorite horror franchise. It's inspired by the movie posters, which I'm guessing is why it's sultry and deadly dark. 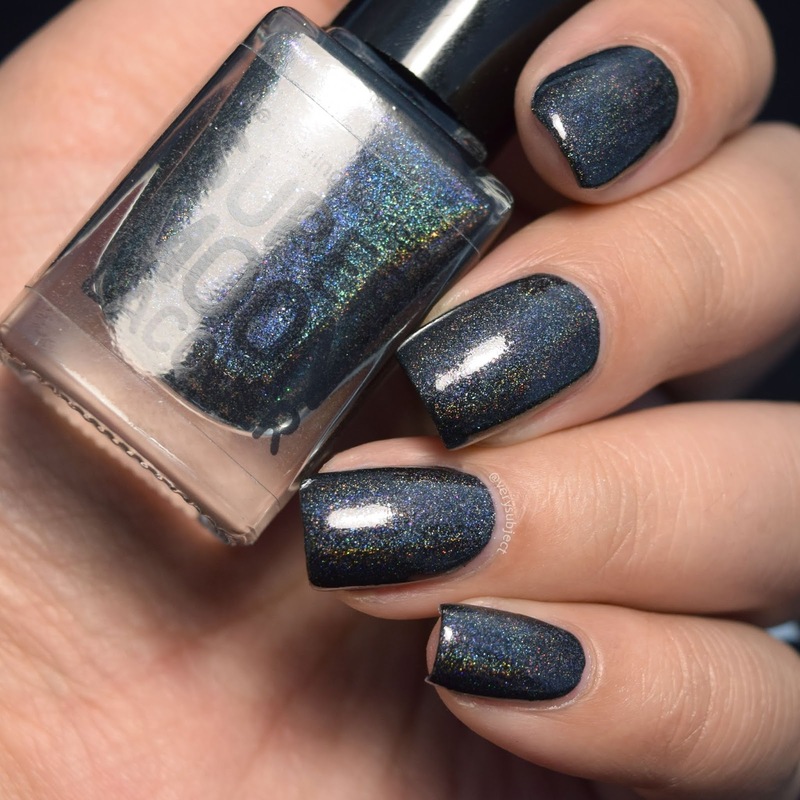 If you're looking for a one coat black holo with a little extra bling to it, stop looking because this is it. 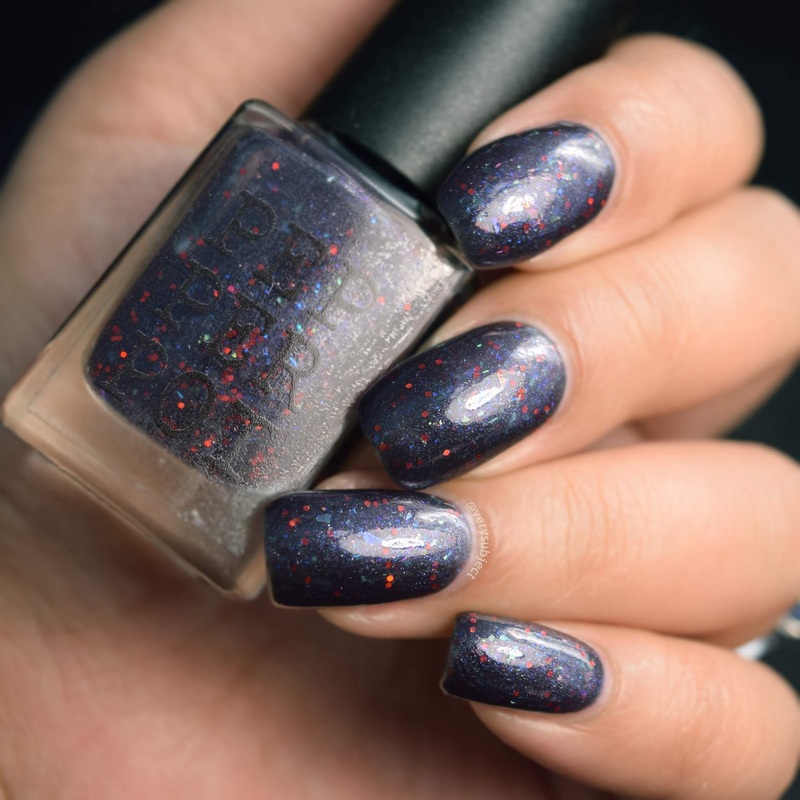 I Know I'm Human ($11, cap of 120) is Pepper Pot Polish's contribution for the month. 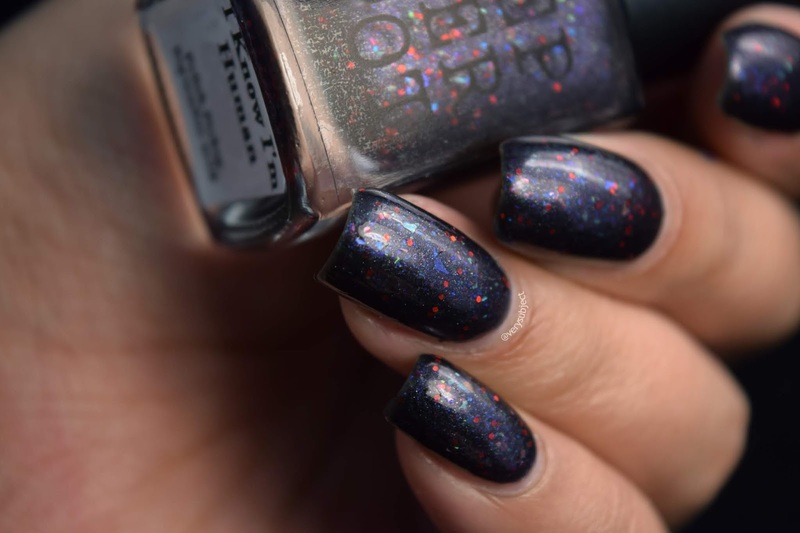 It's this incredibly complex but sheer dark navy blue polish with red glitter, blue/green/purple flakes, iridescent glitter, and violet to blue shifting shimmer. It's definitely on the sheer side and I found myself needing 3 coats, but it was definitely worth it. 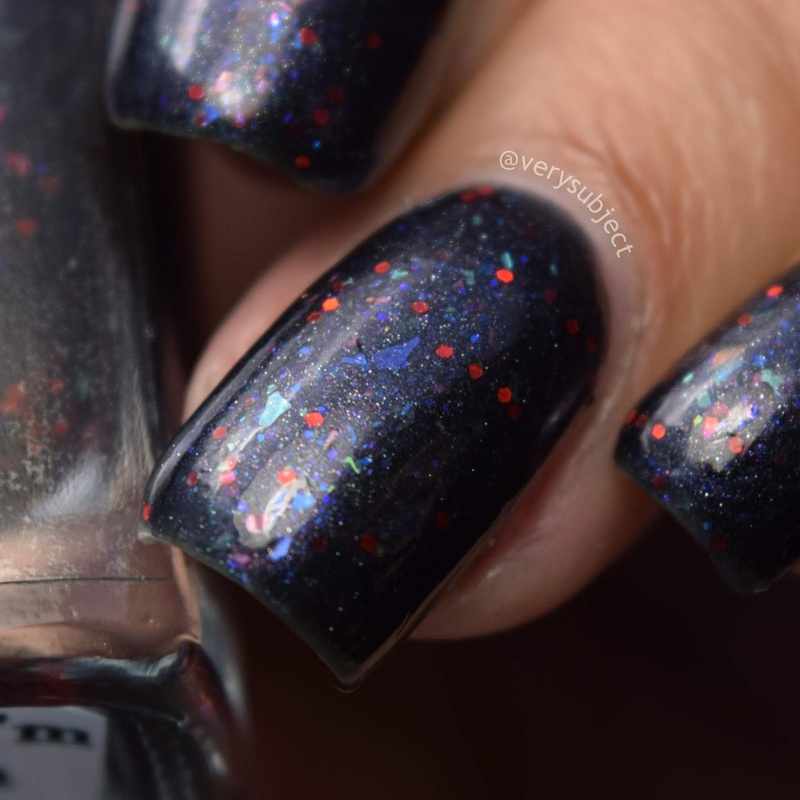 The sheerness really lets the different components of the polish shine through, so you come out with this uncertain, murky effect that contrasts excellently with the startling bright red glint of the glitter. It's exquisite. 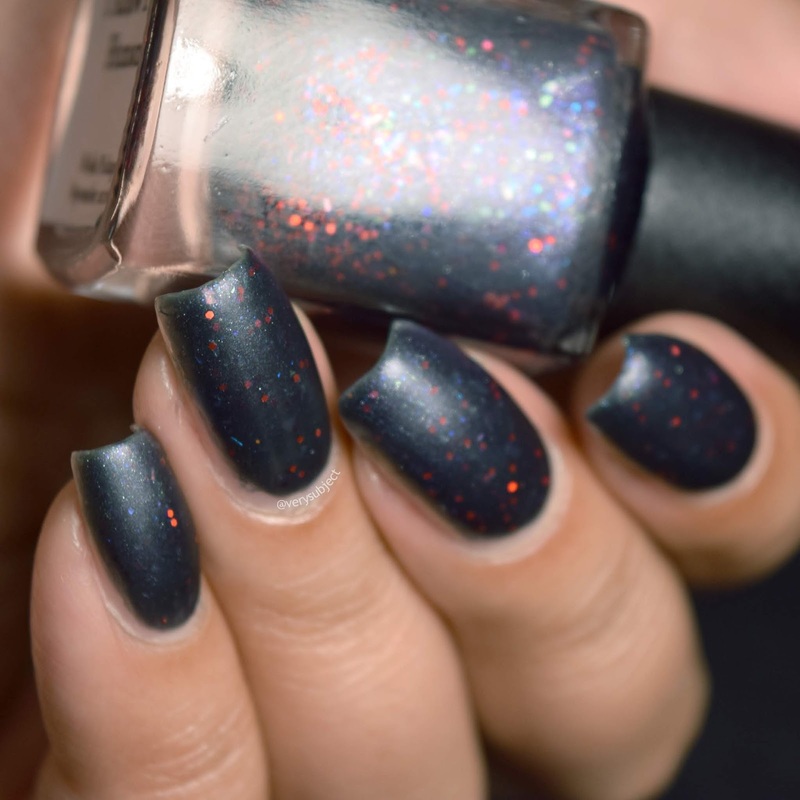 This is another polish that just looks incredible with a matte top coat! I Know I'm Human is based off of The Thing, which is one of Pepper Pot's favorites. Again, I honestly have not watched it because horror, but I can see that the polish is just SPOT ON for the poster inspiration. 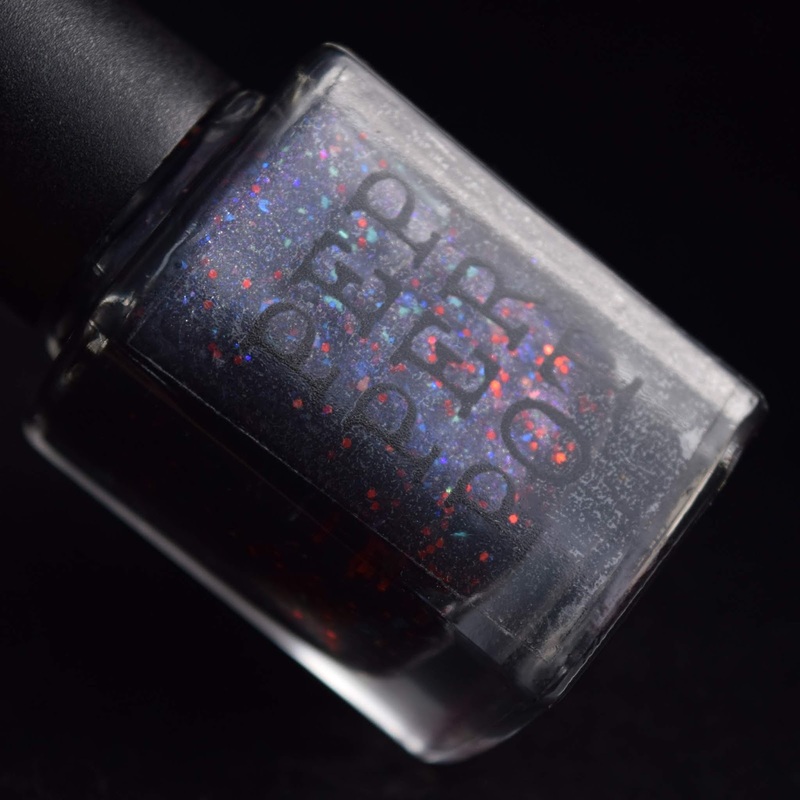 Pepper Pot is relatively new and unknown to the indie polish scene, but they are definitely becoming a brand to watch. 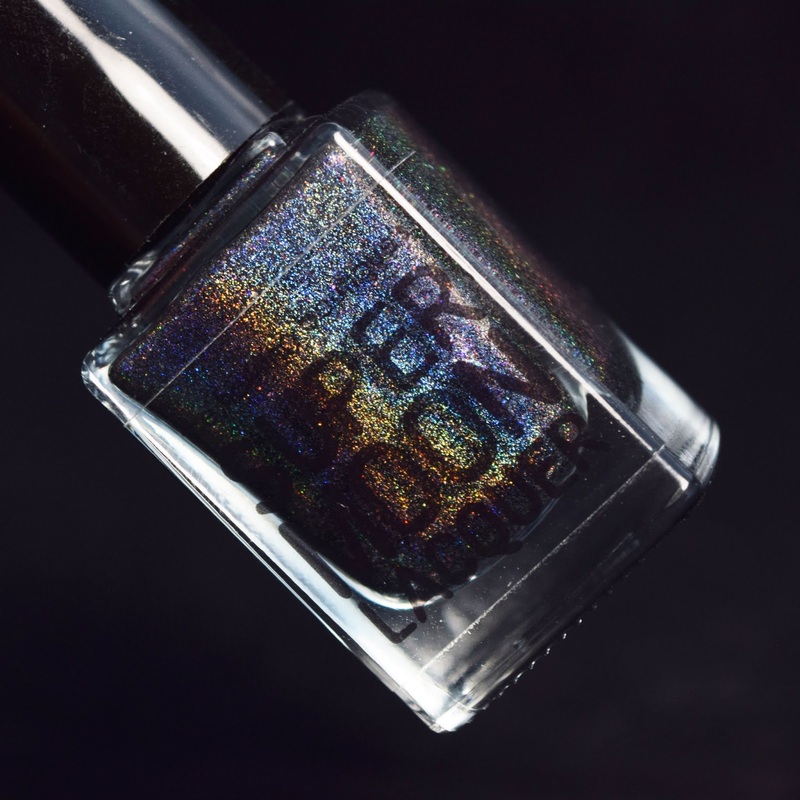 So that's all I've got for you today; make sure to check out The Polish Pickup, open today (Monday, Sept. 10, 2018) until 9 PM Eastern. 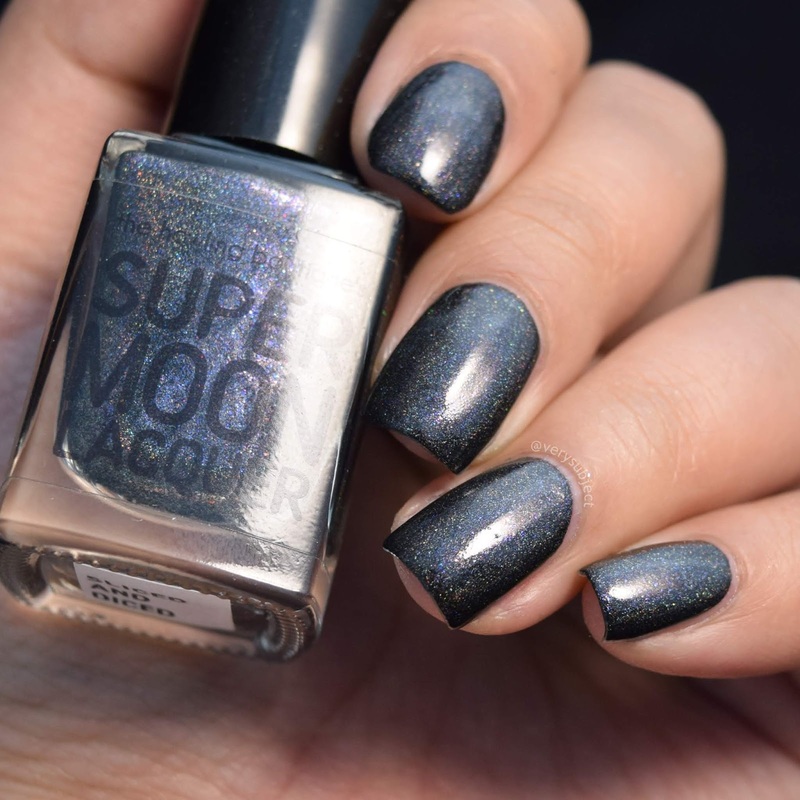 While you're at it, take a look at Supermoon Lacquer (currently closed due to high order volume, but at least you can see what you can get ahold of when they're accepting orders again!) as well as Pepper Pot Polish (and their Etsy).